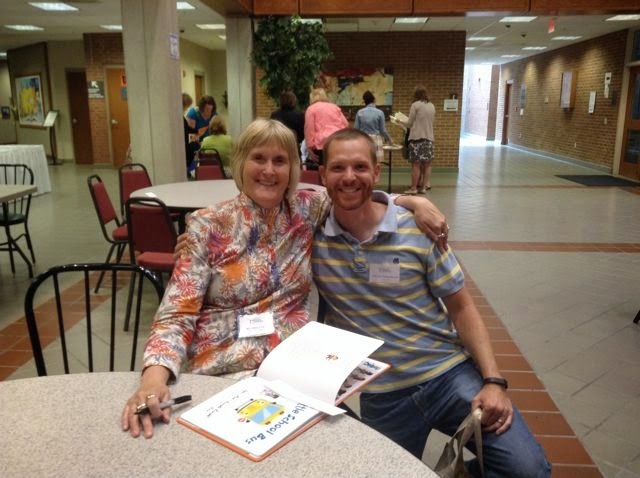 Last summer I met Margery Cuyler at the Mazza Museum Summer Conference and she shared her birthday with me! Oh, that's good! No, that's bad! I met her in July and I was going to have to wait until December to celebrate her birthday with my family. Oh, that's bad! No, that's good! Six months would give us plenty of time to read all of her amazing picture books. Even with all the extra time we weren't able to read all of the books. 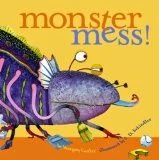 We loved reading Monster Mess and The Little School Bus. We had never read those books before. We even read The Biggest, Best Snowman and thought it would be the perfect book to celebrate Margery Cuyler's birthday after Christmas. No snow fell during the whole month of December! This is unheard of for our city, which is in Ohio's Snowbelt! How are you supposed to build the "biggest, best snowman" without snow? 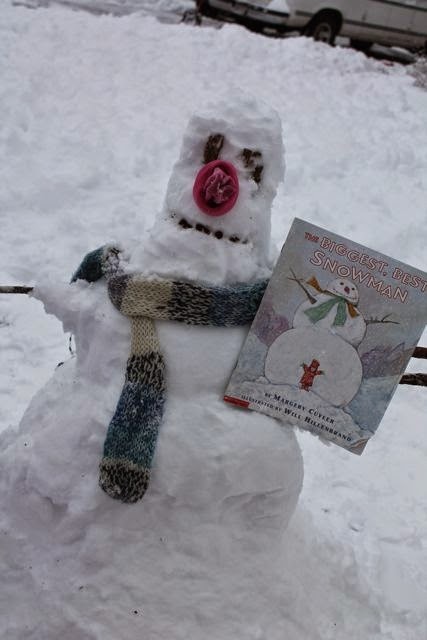 We enjoyed Margery Cuyler's books so much that we decided that we would just read them all over again next year and hope from some snow! Next year? Are you kidding me? That's a long time to wait! We didn't have to wait! 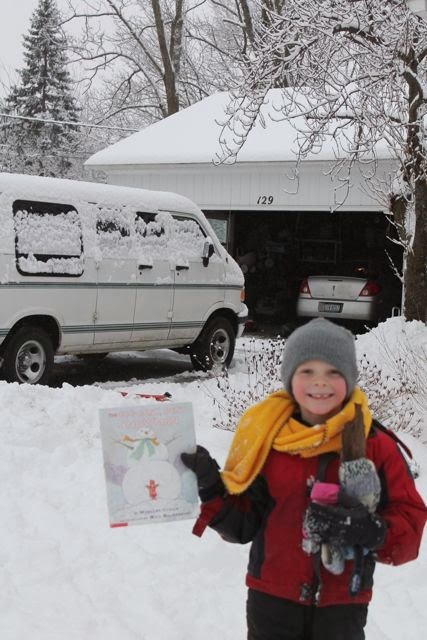 This week we had a snow day that dumped four inches of wet, fluffy snow. It turned out to be the perfect day to throw a belated birthday celebration for Margery Cuyler! Oh, that's good! No, that's GREAT! Margery Cuyler is the author of 35 picture books including That's Good! That's Bad!, That's Good! That's Bad! in Washington D.C., and That's Good! That's Bad! on Santa's Journey. She was lucky to grow up in a very creative family. Her father taught her that, "Storytelling is an act of love." (Mazza Museum Keynote, Summer 2014). This family value led her to a career in children's literature where she spent 21 years as Editor-in-Chief of Holiday House Inc. along with many more years at Henry and Holt, Golden Books, Winslow Press, and Marshall Cavendish. (Balkin Buddies). Amazingly, in addition to being a publisher and an editor she managed to write books for very young readers with The Little School Bus and The Little Dump Truck, for Halloween fans (like my family) with Skeleton Hiccups and Skeleton for Dinner, and for chapter book readers with The Battlefield Ghost. At the Mazza Museum Summer Conference she said she is trying to "stretch herself" by writing a Young Adult novel. I will stay tuned for that! 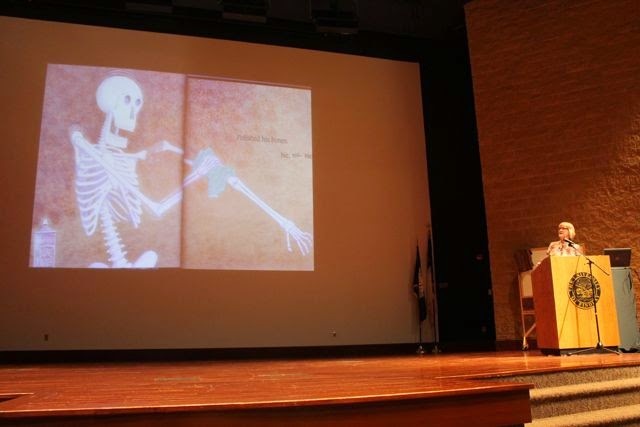 Margery Cuyler shared at the Mazza Museum that her idea for Skeleton Hiccups came to her when she was on a train sitting next to man with the hiccups. She tried to help him but nothing worked! 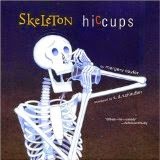 I have read Skeleton Hiccups over 100 times to my children. It is one of our favorite books! I was so lucky to meet Margery Cuyler! 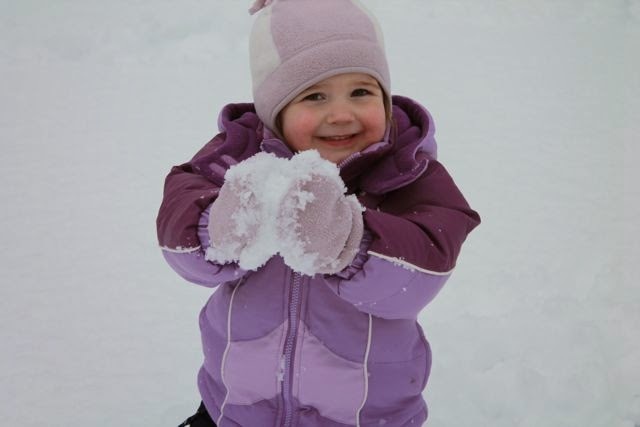 Our most recent snow day was a complete surprise. The weather forecast called for some overnight snow and possible freezing rain but nothing that warranted much excitement. In the morning, we missed the phone call announcing the cancellation of school. It wasn't until my wife was ready to walk out the door to head to school when she saw the message on the answering machine. 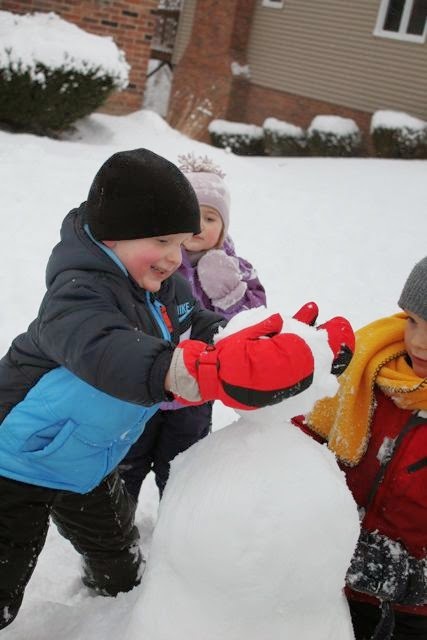 The best part was that the temperature was right around 30 degrees which would make for a great day to play in the snow and act out Margery Cuyler's The Biggest, Best Snowman. We all had on our snow gear by 10am and were sledding in the backyard. 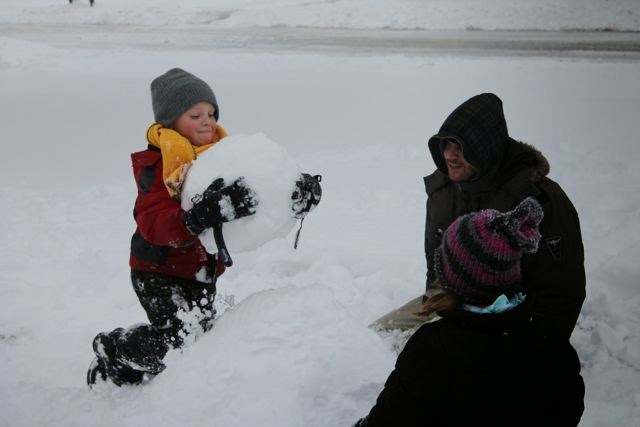 After sledding, I asked my children if they wanted to build "The Biggest, Best Snowman". 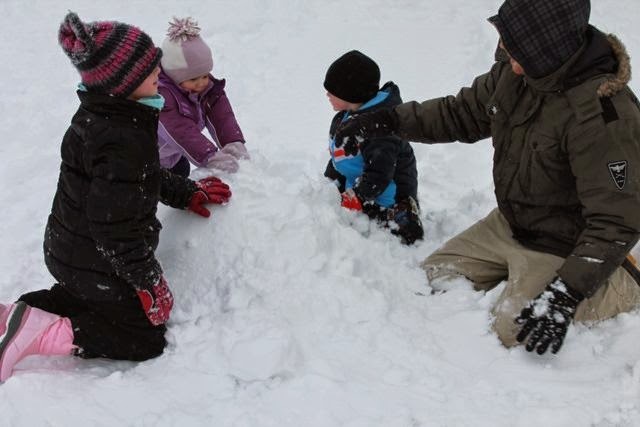 We went to the front yard and started rolling our snowballs. The snow great for making small snowballs to throw, but it wasn't ideal for rolling huge snowman-snowballs. My oldest son made a tiny ball. Then, he "rolled it and rolled it". He did his best to roll the biggest snowball he could for the middle of our snowman. 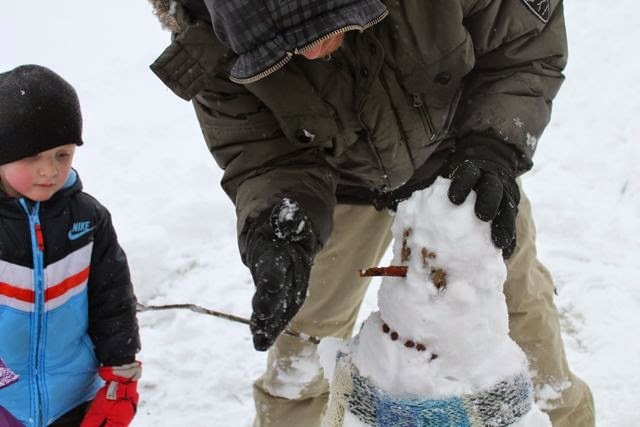 My youngest son watched as I did my best to roll a snowball for the bottom of the snowman. 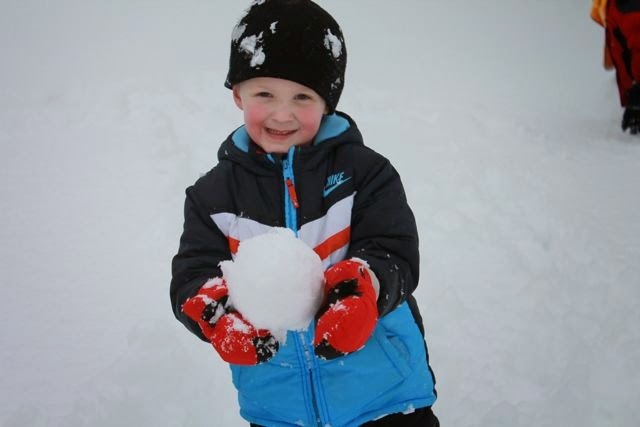 My youngest son "patted and matted and batted" a tiny snowball for the head. 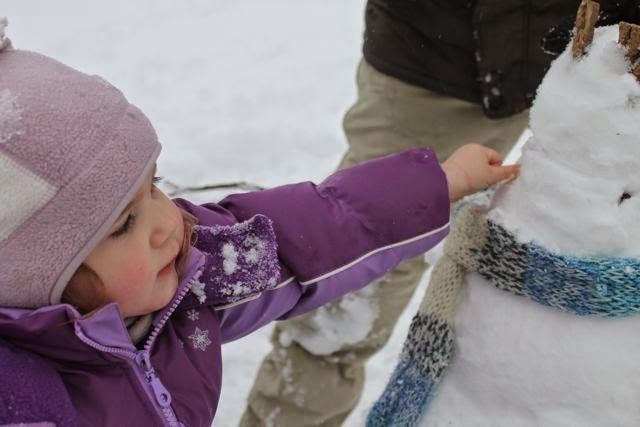 My youngest daughter offered some of her snow to help build the snowman. I called my oldest daughter over to help us build the bottom of the snowman. We opted to turn my snowball into a mound of snow to create a good base. My oldest son "rolled it and rolled it until -- THUD -- it came to a stop. He pushed it on top of the other snowball." Our snowman needed a head! 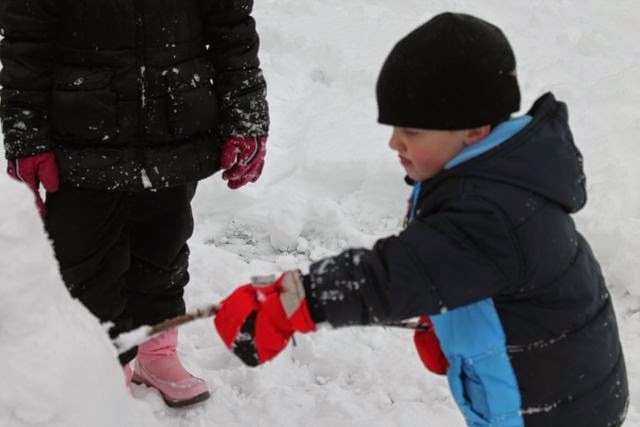 My youngest son had the perfect snowball and he stuck it on top of the other two snowballs. Something was missing from our snowman. My daughter said it needed a face so she brought over some raisins to make a smile. My boys found sticks, actually three, for the snowman's arms. My son brought the perfect book, bark for the eyes, a scarf, and a pink sock for the nose. 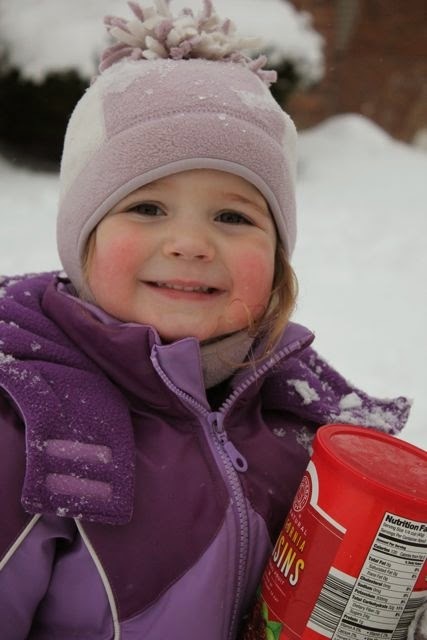 She worked really hard to get the raisins just right. I added a stick to hang the sock for the nose. 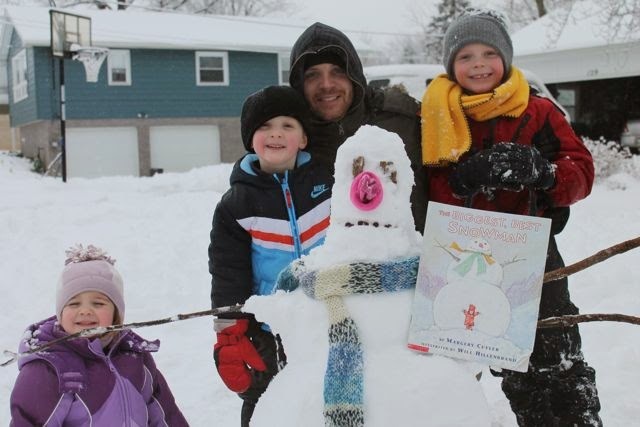 It wasn't the biggest snowman we have ever built, but I think it was the BEST!